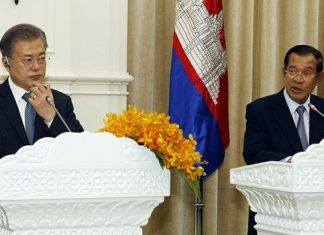 In the inaugural issue of its bulletin on Cambodia’s $5.8-billion garment industry, the International Labor Organization (ILO) said Thursday that business remained strong on the back of rising exports despite a 28-percent hike to the sector’s minimum wage in January. But the figures also show inflation increasingly eating away at how much those wages can buy. The bulletin comes out just as the government, garment factories and unions are starting negotiations over next year’s minimum wage for the sector, a process that has previously lacked reliable figures, said ILO wage specialist Malte Luebker. At Thursday’s launch of the quarterly in Phnom Penh, Mr. Luebker recalled the rebuke of one technocrat during a wage workshop here in April. “He was saying, ‘Well, you keep on telling us that we should use data in negotiating the minimum wage, but we don’t have data, so we can’t do that. So why are you telling us that we should use data?’ And that’s obviously a fair point. If you don’t have data, you can’t rely on data and factual information in negotiations around wages,” he said. 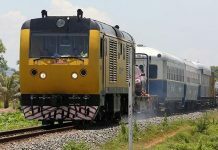 The data in the bulletin released Thursday show strong year-on-year export growth over the first quarter despite predictions from the Garment Manufacturers Association in Cambodia (GMAC) that a $128 minimum wage would see export growth stall or even shrink. It shows $1.48 billion worth of exports in the first quarter, compared with $1.34 billion over the same period last year. 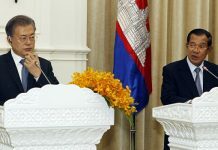 Mr. Luebker said Cambodia defied the gloomier predictions because it still had a good reputation among foreign buyers, at least in part because of the ILO’s own Better Factories Cambodia program, which monitors labor conditions inside the factories. And despite the natural volatility of foreign investment, Mr. Luebker said the relatively high number of garment projects approved for investment over the first quarter also boded well for the rest of the year. 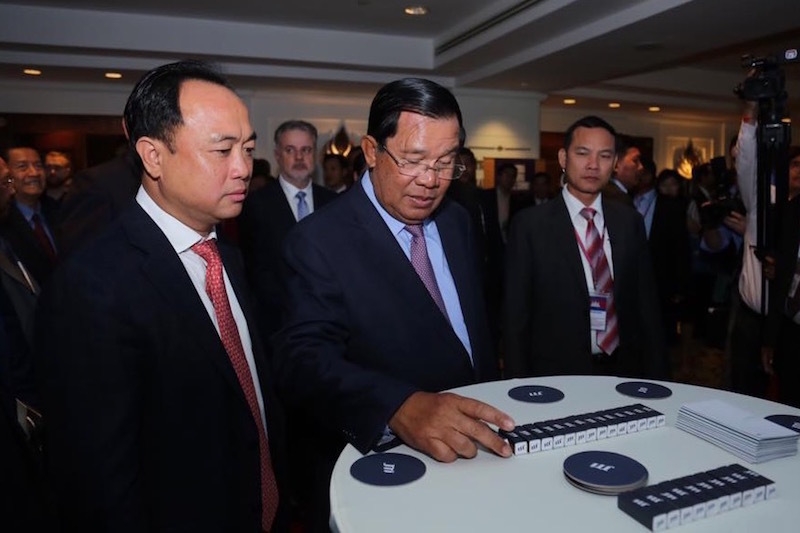 “What you see is that there still is fresh investment flowing into the garment and footwear sector, so that would point to still more investor interest to come in the sector in Cambodia,” he said. According to the bulletin, the new minimum wage has not dented employment either. It says exporting garment factories hit a record high of 605,100 workers in March. It also shows that Cambodia’s monthly minimum wage in the garment sector—$128 a month—remains one of the lowest for unskilled workers among Asia’s other major garment exporters. With overtime and bonuses, the bulletin says, the average garment worker is now taking home $171 dollars a month. But due to inflation, it adds, it feels more like $149, based on 2010 prices. The ILO stressed that the bulletin, drawing on a variety of government statistics, was meant to paint a neutral and unbiased picture of the industry. But GMAC Secretary-General Ken Loo was not impressed. “It paints a picture that seems to imply a sector that is very healthy, when we are concerned that that may not be the real picture,” he said. GMAC says the picture looks far less rosy when taking into account the relatively modest productivity of Cambodia’s garment workers. Mr. Loo also worried that the number of approved investment projects might be conflated with the number of projects that get done, which is never the case since some approved projects inevitably fall through. Mr. Loo said GMAC had not yet settled on the minimum wage it would be taking into this year’s negotiations and that the bulletin would not be influencing its decision. He said the bulletin could hurt the negotiations, though, if it encourages unions to push their own wage demands up. Ath Thorn, who heads the largest independent union in the country, said the ILO’s positive message has indeed re-enforced his intentions to push for a significant increase to the current wage. He and like-minded union leaders have tentatively agreed to ask for $177. But Mr. Thorn said a fresh survey of garment workers’ monthly expenses was underway, and that the results, expected in about a month, could change that. Government officials, garment factories and unions are scheduled to start holding bilateral negotiations in August. Based on the final recommendation they come up with, the Labor Ministry will decide on the new wage in October.